What if the people with the tinfoil hats were telling the truth? Hitler really is being cloned. RPGs really are giving your soul over to Satan. Lizard-people really do run the world. Well, if you were to find out, you'd rush to tell as many other people as you could! The world has to know! 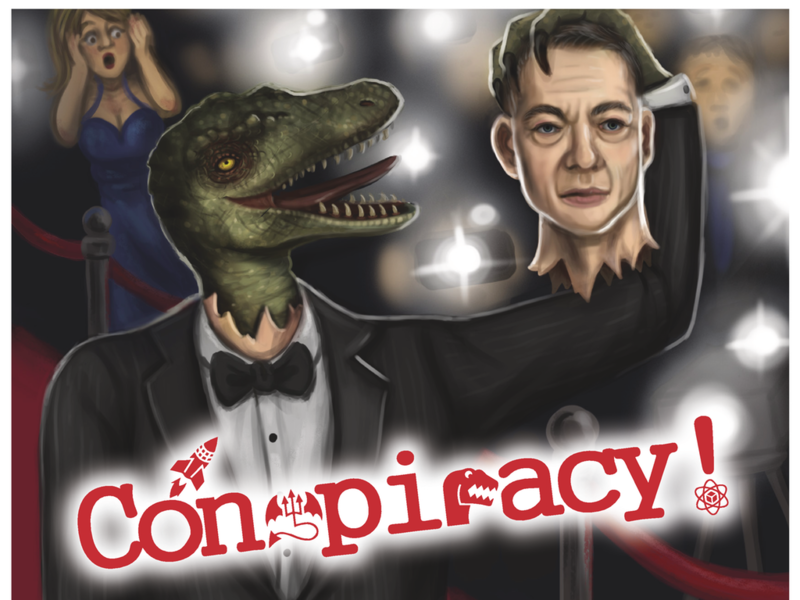 That's just what's behind Conspiracy, a new board game from Shoot Again Games that's up on Kickstarter. In the game, you will reveal conspiracies that are going on around the world to the masses. After doing so, you'll be granted a sort of special power for having awakened people to the truth. However, you may know that your conspiracy is true, but everyone else is just being crazy, so you must try and discredit them as much as possible. It's a game of give-and-take, trying to have the conspiracy with the most "points" at the end of the round, as those will be accepted as truth by the world populace. The campaign just launched and is already over their funding goal, so it's on to breaking through stretch goals for the next 29 days.